Yup, I know it’s been a while since I done one of these, but this topic is worth talking about, so let’s get started. Now, usually when people think of the month of April they usually think of the typical days like April Fool’s on the first day of the month. The two days of Easter (or one in this year’s case) where people choose between celebrating the death of Lord Jesus Christ or waiting for that mystical imaginary bunny to appear on their doorsteps and give them free chocolate eggs. Earth Day is also another day in which we celebrate; we take the day to enjoy everything about the unique piece of rock that we all live on every day (unless you’re a part of the Lynx trip to space in which case you wouldn’t be living here at the time). These days – and many more than could be named – make April an interesting month to say the least, but there’s one day that always seems to slip away from most people who know of it, or even people not knowing about it at all. 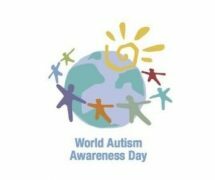 And that day is April 2nd: World Autism Awareness Day. For those of you who don’t know, and this is surprisingly a lot of people out there in the world, autism is a developmental disability that affects how a person interacts with other people – mostly through social communication. People with autism also have difficulty in making sense of the world around them and usually do so in a much slower speed than a regular person would. There are many different types of autism that fall under the Autism Spectrum such as regular Autism, Aspergers Syndrome (one of the more well-known forms of Autism) Pervasive Developmental Disorder not otherwise specified (PDD-NOS), Childhood Disintegrative Disorder or Heller’s Syndrome, and Rett Syndrome. Now, I don’t want to bore you with what separates each of these forms of autism in this spectrum, but I will say why they are all similar. As mentioned, people with autism have trouble communicating with people in general discussions and tend to have trouble in saying the right things in which they want to say to people, or saying something completely different to what they are thinking. They may not express the right emotions or facial and body reactions that a non-autistic person may express. They have little problem understanding someone else when they are talking to them, however they will not counteract in a similar manner as in most cases and people with autism have limited speech and prefer to communication with visual images more than sound. They are also not confident in large crowds of people as they tend to feel somewhat isolated when in groups (whether they be smaller, or more commonly, larger groups). Signs of people with autism usually stem from when they are younger by the individual when they show major repetitive patterns such as stacking objects in lines or on top of each other, or other possible patterns that look somewhat abnormal to the average Homo sapien. Due to this, they tend to prefer to be by themselves rather than be around other people, often not seeking their comfort as they have difficulties expressing the right emotions to describe to a person. People with autism will tend to also not understand how to act when in social conversations, such as the typical rule of personal space with them possibly being too close to a person, or perhaps start a conversation that may be unnerving to the regular person. People with autism may also experience over – or under-sensor – sensitivity to sounds, touch, tastes, smells, light or colours around them. Due to this, they are usually not good with the concept of change or planning ahead, and are not good in unfamiliar situations and places. I can cover more of the points as I go on with this article, but the main reason I explain most of this to you all is because, even in today’s day and age of social media and how people interact with each other in normal day to day life, autism is sadly left in the dark as not that many people know much about it. It doesn’t nearly get enough attention as it should by being taught in schools and possibly because of this, when someone were to meet someone with autism, they may get pushed aside and get stereotyped as un-sociable because they aren’t good when in a conversation, even though it’s not exactly their fault and there is a surprisingly large amount of young people with autism in the world who may feel even more insecure due to people not knowing enough about it, themselves included in some cases. People with autism may feel misunderstood and insecure, as mentioned, yet they can become easily frustrated due to them not understanding how to convey the right emotions to people. Due to these feelings they tend to suffer from symptoms of anxiety and, in some cases, signs of depression and people may not usually see this as they are not good at expressing these emotions as stated. Now, I can totally understand how people with autism feel, mostly because I know people who have it, and even more so because I am in fact one of them. Ever since a very young age I’ve been diagnosed with Aspergers Syndrome and the signs were always there, such as never being good in a normal conversation with someone, even one-on-one which I feel is the best way I can ever talk to someone. When there’s more than one person in a room I tend to shy away and let them do the talking and just pretend like I’m a part of the group, while also feeling insecure because I’m not contributing to the discussion. There’s never been so many times in life where I’ve heard talks of politics, natural disasters, or current events that has me perplexed since I have trouble understanding what’s happening around me. I always got help from special needs in primary and secondary school due to it being classed as a ‘learning disability’ and felt awkward when people kept asking ‘why is Mrs so-and-so always with you? Why can’t we have her help like you do?’ cause I just don’t know how to answer them. I am fortunate to have had people in my life who never picked on me for it and have always managed to help me along the way. Whether it’s at home, school, or for the short time I was in university, people have done their best to make me feel part of their groups and never ridiculed me for not being a part of the topics, even though I, of course, felt differently. Also, something that sometimes has me baffled is when I mention to people that I’m autistic and they mostly always reply with: ‘Seriously?! I would have never guessed! I just thought you were really quiet!’ and then have these people later say how proud they are of me for trying to break out of my shell and be a part of the group, even if I don’t talk I’m still making an effort. I always still feel indifferent about their opinions, and I always will because that’s the way I’ve always feltâ€¦ but I know where they come from, and with the rest of the stuff that has happened in my life to go with this disability (diabetes, family deaths, etc), I suppose I’ve done okay, even though I hardly see much of a change. Also, some people look at autism as a curse; an untreatable illness that we are stuck with for the rest of our lives. Now while that part is true, the former isn’t, at least not to me. Myself, as well as other friends with autism, tend to look at it as a gift more than anything else, just another part of our beings that makes us separate individuals in the world. Heck, people with autism are even said to be majorly creative and I can actually agree to this considering for a future life career, I’m hoping to become a 2D or 3D animator as well as a potential voice actor, mostly with my animation work as most voice-over work on the internet tends to be by the more well-known actors. Also the main reasons for this article was to, well, raise awareness of autism, which is why we actually dedicate a day to it. And on this day, a common theme that has been placed in the last few years is the ‘Light It Up Blue’ campaign by Autism Speaks. 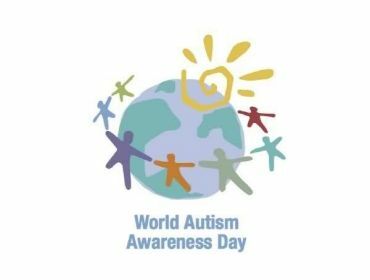 Basically, during the entire day of April 2nd every year, places around the world will be lit up in the colour blue in hopes of raising more awareness for autism. It can be their actually buildings, offers they have on, or more specifically, which everyone in the world can doâ€¦ wear something blue. So that’s what I want everyone to do, make sure to mark 2nd April down as the day you have to wear blue, mostly a t-shirt or a badge maybe. But if you can’t wear something for that day, then do something else to help out. Maybe spread the message online with everyone on Facebook, Twitter, Tumblr, and all those sites these days. Know of any charities that are focused around autism? Do something to help them out. Maybe share stories about people you know with autism or stories of how you’ll raise awareness this year! Do anything (acceptable at least) that will help raise awareness of this condition and help people around the country or the world even known of it and let them known that we aren’t really that different from anyone else. And with this I thank everyone for reading this article and I hope you all have a good April 2nd this year and remember to ‘Light It Up Blue’. ClichÃ© ending I know, but I’ll let it slide for what I talked about.